Hello Singapore! 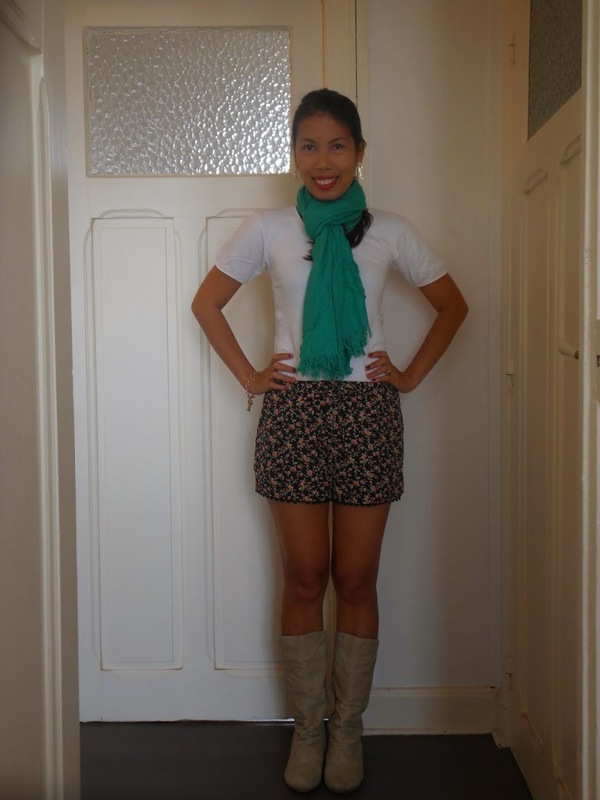 Thank you for following my blogs.Hello also October!!! Fall is being friendly with just a little bit of cold and the sun is still shining brightly. I want a light combination. The white shirt is magical, it blends whatever you are wearing. 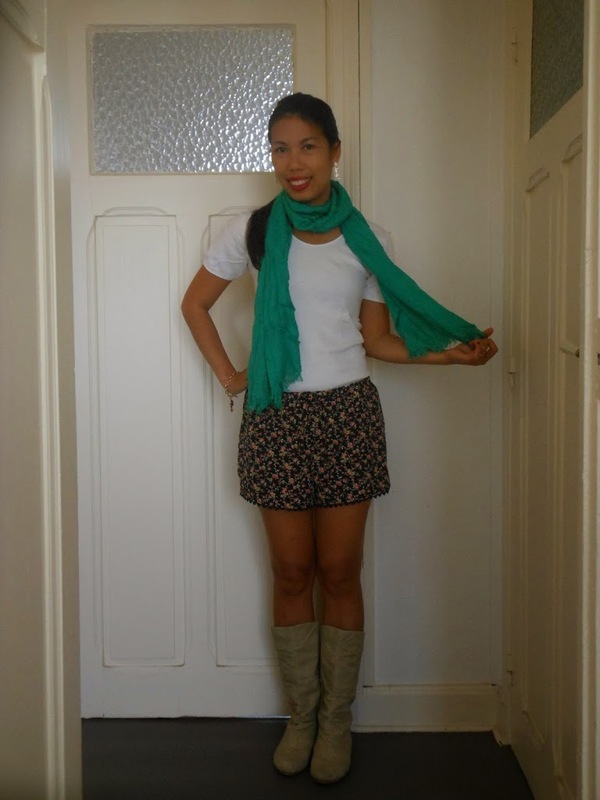 My floral short is from Miu Miu and my green scarf is from TERRANOVA.